Did you know that you can make homemade peppermint soap easily? 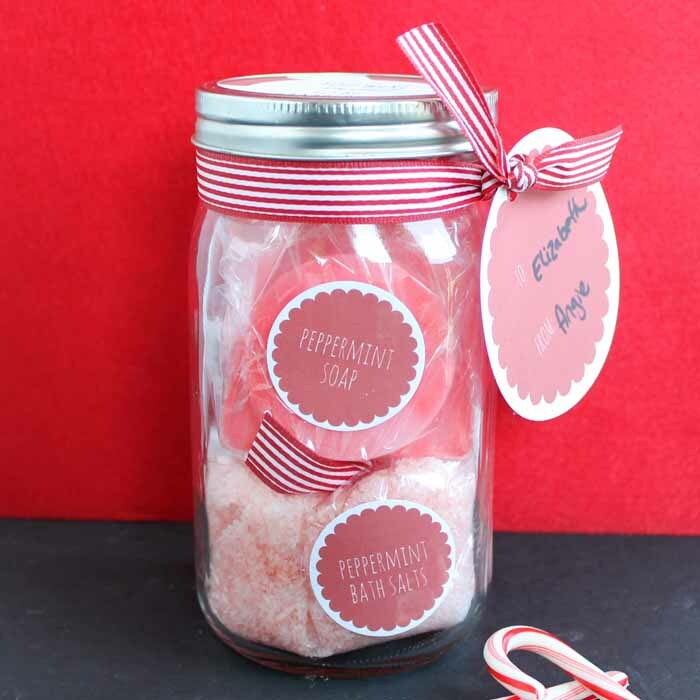 Then you can add it to this pampering gift in a jar along with some peppermint bath salts. A fun gift that anyone will love anytime of the year! This post actually kicks off mason jar week. All week I will be posting mason jar crafts along with some of my blog friends. 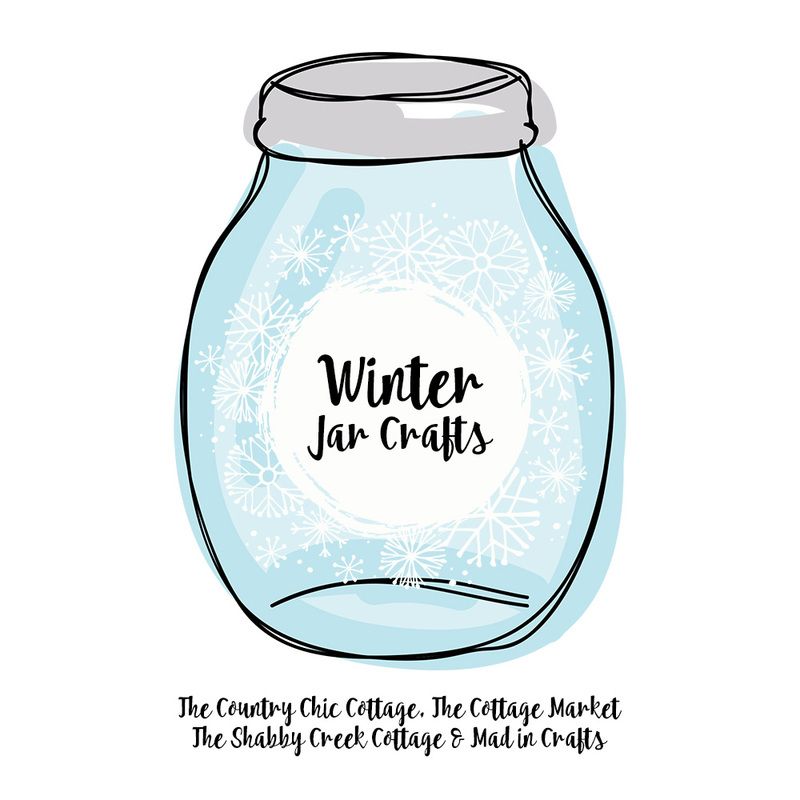 Be sure to scroll to the bottom of this post to see the other jar crafts for today. 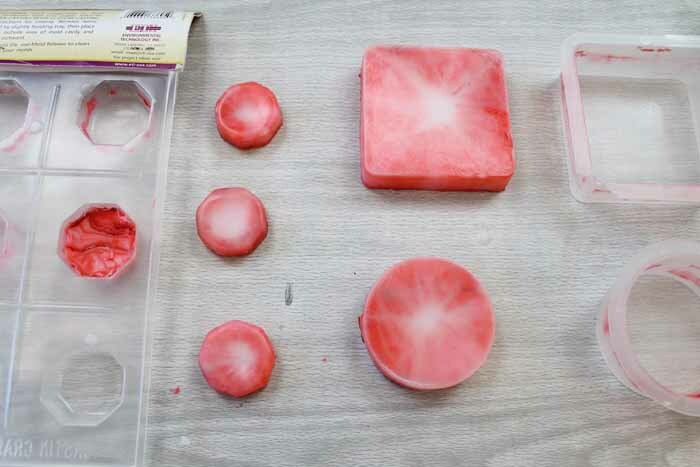 You can watch the video below for easy instructions for making your soap. Can’t watch the video or missed some of the steps? Try our step by step instructions below. Start by cutting your soap base into small chunks with a knife. Add these chunks to your microwave safe container. Add peppermint essential oil to your scent preference. A few drops should be enough. Pour your melted soap into your molds. Add a few drops of colorant to the molds. Use a toothpick to swirl until desired color is reached. Allow to cool completely then remove soap from mold. Now do you want to turn that peppermint soap into something special? Then follow the instructions below! Add your peppermint soap and bath salts to the plastic bags. Cut out the labels and use your adhesive to add to the bags. TIP: Use a circle cutter or punch for perfect cuts. Add all of your gifts to the inside of the mason jar. Cut out the topper and add to the mason jar lid. 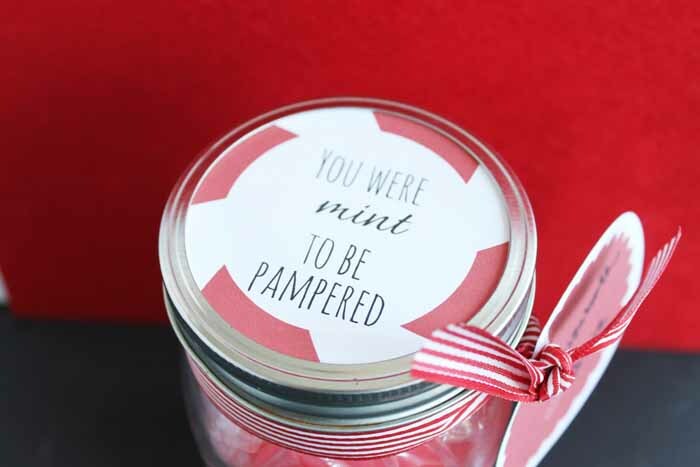 Add the lid to the jar then tie on the gift tag to the neck of the jar. 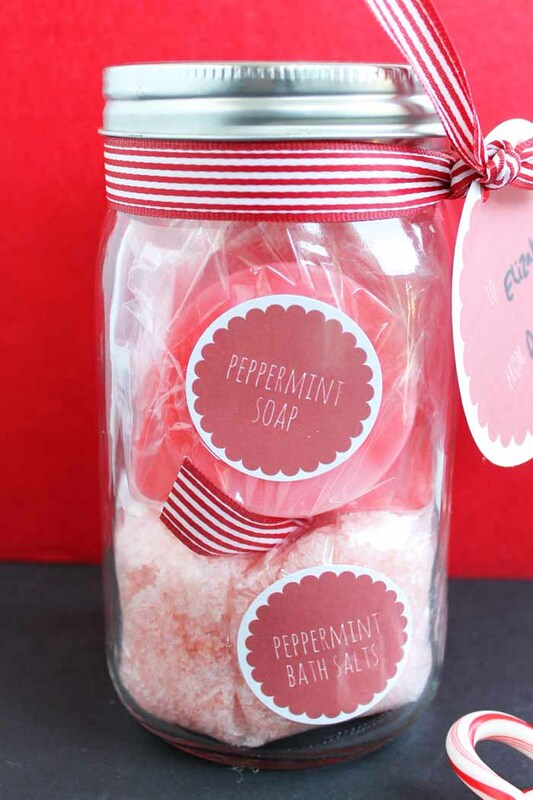 Your peppermint soap as well as your pampering gift in a jar is ready for giving to anyone on your list. 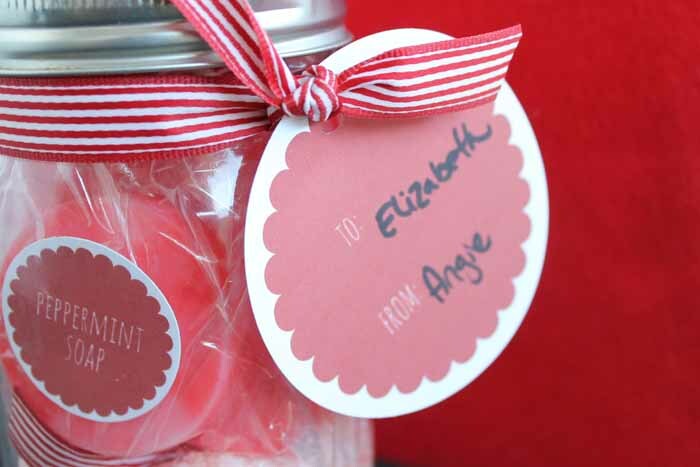 This quick and easy gift is also super inexpensive to make. 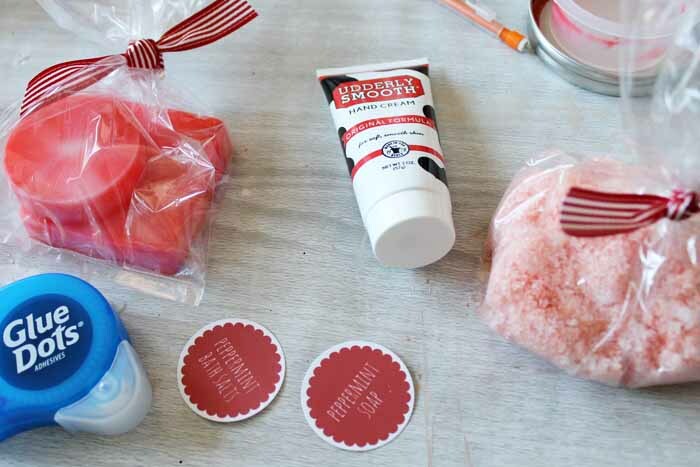 Grab your supplies and get started making some peppermint fun today! 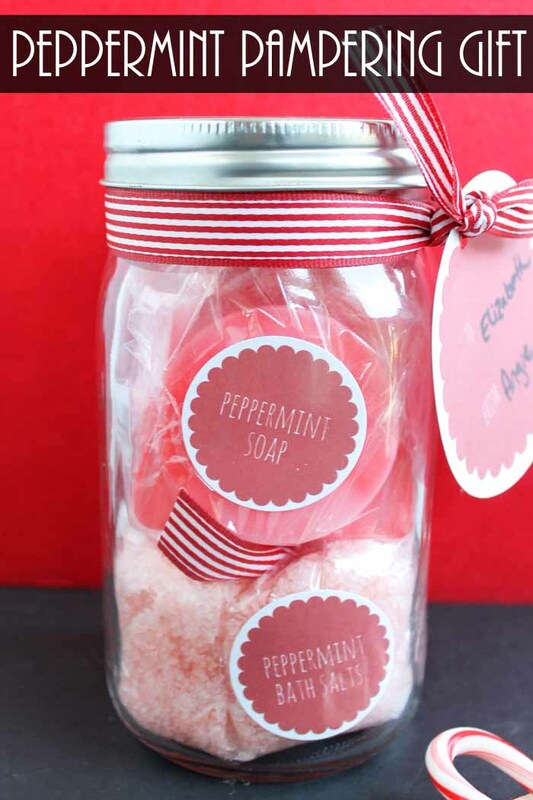 Love this peppermint soap gift in a jar and want more jar ideas? Try the links below! I feel like taking a nice long bath right now : ) Love this and what a great gift!!! I bet that soap smells heavenly! What a GREAT idea! Wish I had seen this earlier in December! I have a new blog party that starts on Wednesday and I would love for you to share! http://www.themarkandjanshow.com Hope to see you there!